Imagine an 8-week program that can help you overcome depression, anxiety, and stress–by simply learning new ways to respond to your own thoughts and feelings. That program is mindfulness-based cognitive therapy (MBCT), and it has been tested and proven effective in clinical trials throughout the world. Now you can get the benefits of MBCT any time, any place, by working through this carefully constructed book. The expert authors introduce specific mindfulness practices to try each week, plus reflection questions, tools for keeping track of progress, and helpful comments from others going through the program. Like a trusted map, this book guides you step by step along the path of change. Guided meditations are provided on the accompanying MP3 CD and are also available as audio downloads. Note: The MP3 CD can be played on CD players (only those marked “MP3-enabled”) as well as on most computers. 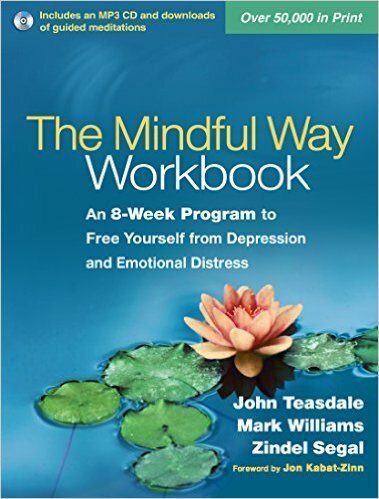 See also the authors’ The Mindful Way through Depression, which demonstrates these proven strategies with in-depth stories and examples. Plus, mental health professionals, see also the authors’ bestselling therapy guide: Mindfulness-Based Cognitive Therapy for Depression, Second Edition.